As you can probably see from the lack of new posts over the last few months, I’ve been winding down the regular updates on Columbia City Source. I still believe Columbia City could benefit from a dedicated site–it’s just not something that can be done singlehandedly. If anyone is interested in getting involved, be sure to let me know. For now, the site will stay online and all posts are archived below. The Columbia City Project and Development Map is still being actively updated (thanks Scott!) and can be accessed by clicking here. Just wanted to post a quick comment about the lack of posts over the past month or so–new job, new time constraints, etc. Sorry about that. I’m hoping to get back to posting regularly. I’d also like to put in another plug for anyone interested in getting in involved with site to get in touch. From the beginning, I’ve always envisioned the site existing as a group effort with a number of involved and active neighbors contributing, posting, and playing a part in keeping neighbors engaged. If this sounds like something you’d be into, don’t hesitate to reach out. I’d love to have a core group of folks playing an active role. Stay tuned…big news is coming in the next post. Ever wonder what’s going in the giant lot across the street? What the plan really is for that development you’ve kind of heard about? Over the past few weeks, Columbia City neighbor extraordinaire, Scott A., has been working to put together an incredibly useful tool for the neighborhood to answer those questions–an interactive map of Columbia City with all current construction and development projects highlighted (with links to the public records of what’s exactly happening, going in, or being planned). The map matches the whole ‘let’s-stay-informed” idea of Columbia City Source– create an interactive tool that neighbors can search, navigate, and explore to stay more informed about what developments are being planned and their overall impact on the neighborhood. Today, we are excited about making the map live and pushing it out to the neighborhood. There’s a new Project/Development Map page in the menu bar above that will take you right to it. So, dive in (selecting the full-screen mode works best) and let us know what you think. If you’ve got a project/development to submit, use the form at the bottom of the map page to let us know. Let’s Try Again: Thoughts? Feedback? 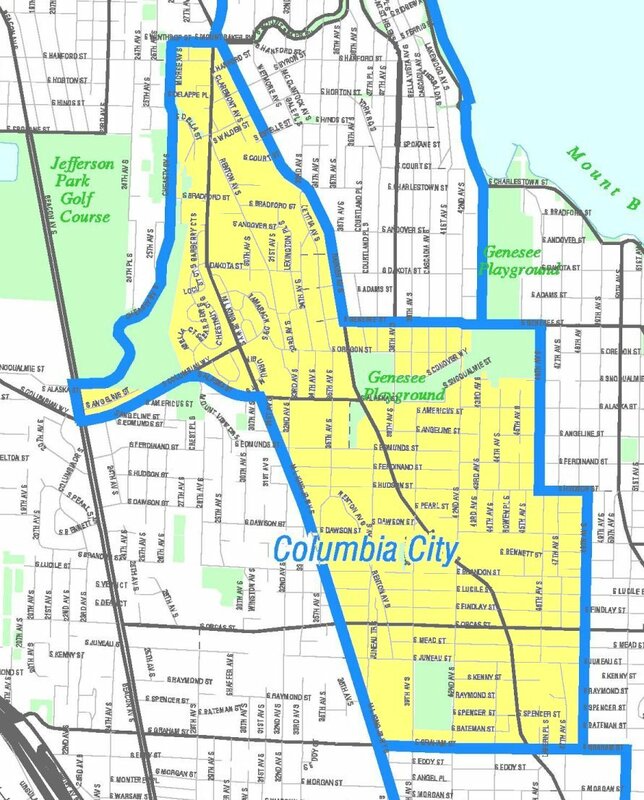 Since there’s been a bit of a lull in Columbia City-related news/events/updates the past few days (unless you want to count the gentrification thread that’s currently exploding on the CC Facebook page), I figured I’d put out another request for thoughts and feedback on Columbia City Source. A few readers emailed me directly (thanks!) asking to change the login requirements to post a comment…that’s been taken care of. All you need is an email address (won’t get published) and a name to chime in. Like I said before, there’s some work happening in the background to continue to build and expand the site–we’d love to do that with your collective input to best meet the neighborhood needs and wants. So, let us know: what are you looking for in a neighborhood website/blog? What should we aim for? What should we avoid? After a year or two of false starts, Columbia City Source is finally live, active, and ready for the neighborhood to dive in! There’s a brief post on the about page that explains the idea of the site and how to get involved. For now, the idea is pretty simple: the neighborhood has been in need of its own dedicated blog/website and a couple of neighbors came up with Columbia City Source to fill that need. In short, if anything Columbia City-related pops up or comes our way, we post it and provide a forum for neighbors to engage. As feedback on the site develops, things might change a bit…but for now, I think we can be pretty open about what CC-related items we post. If you want to get involved or submit a link or an item to post, be sure to let us know. We are definitely looking for people who want to play a role in keeping the site up-to-date with relevant content and making this website grow.